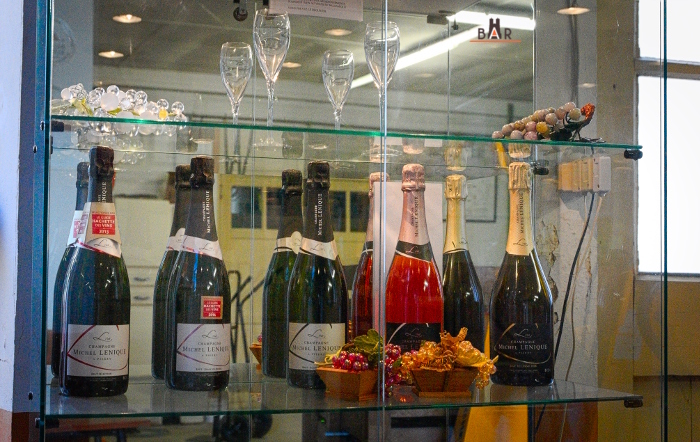 Michel Lenique’s house of Champagne was founded in 1768 in Pierry. 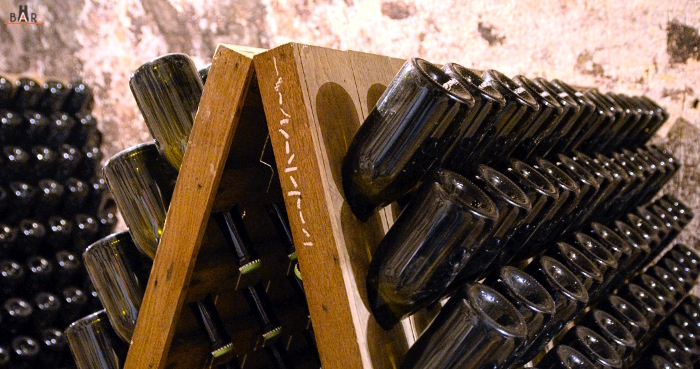 The estate is a little less than 7 hectares and yearly production is close to 50.000 bottles. The vines are located in Mardeuil, Vauciennes, Vincelles and Epernay. A large share of the production is sold directly on the property, and 30% of business comes from exportation. Upon booking (which is preferable), Mme Lenique will invite you to come to the estate and suggest a 5-euro-discovery tasting. This includes the tasting of 4 different Champagne wines (prices run for 2017). You’ll then get a good sense of the vineyard without having to buy, or feeling that you have to buy in large amounts. During the harvest, grapes are juiced in a 4.000-kilo-wine press. It is a slow process that can last up to four hours. The juice then goes on to a refrigerated plate so as to avoid fermentation before going into tanks for settling. Juices are separated according to their vintage and villages. They will then undergo a first fermentation with the adding of yeast and sugar for 15 days at a 15 C° temperature. 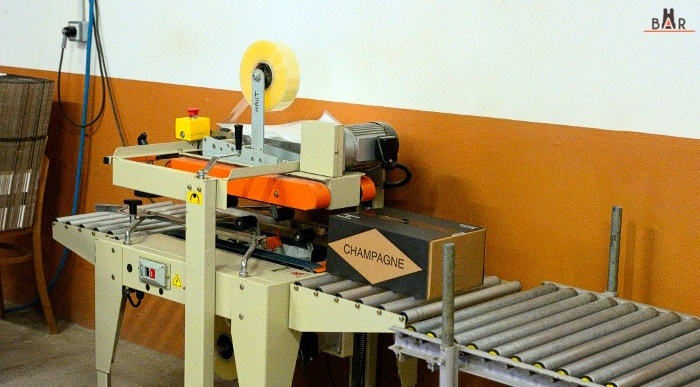 After that, the Champagne wines will go through a second malolactic fermentation, except for the vintage one. In January, Alexandre Lenique – who is a wine-taster – does the blending. During this process, the whole family’s opinion is asked for. 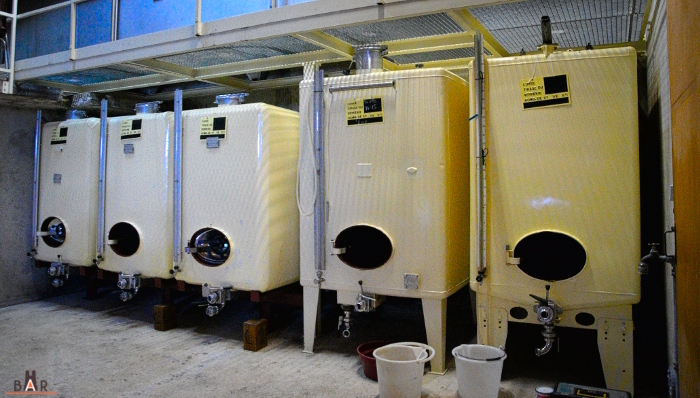 Once the blendings are done, wines are cooled up to -5°C and are then filtered. In April, they are poured in bottles. 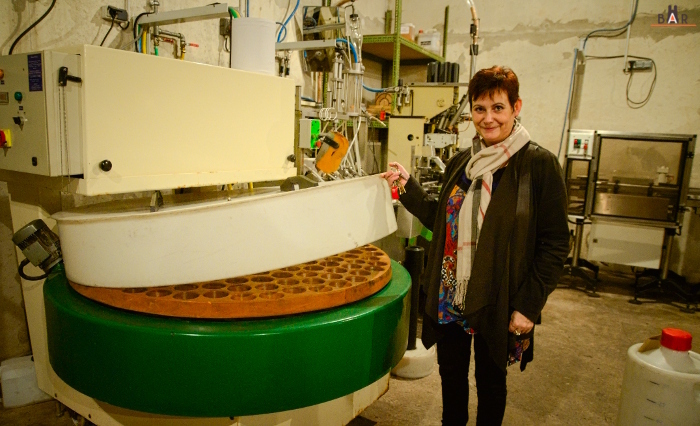 The regular wines are turned with a gyropalette. 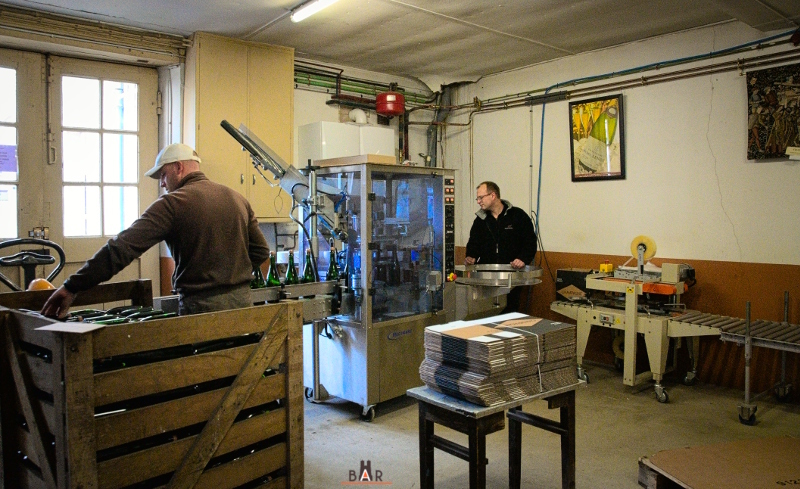 Some wines, such as vintage and special sized-bottles are manually turned every day, such as shown on the picture below. Marks are made with a piece of chalk in order to keep track of the process. Disgorging happens when freezing the bottleneck up to -25°C (thanks to the device shown on the picture below by Corinne Lenique). Then, a MCR expedition liqueur is added and bottles are stored for 3 to 6 months, until the liqueur is properly integrated. Touring the winery is very interesting. 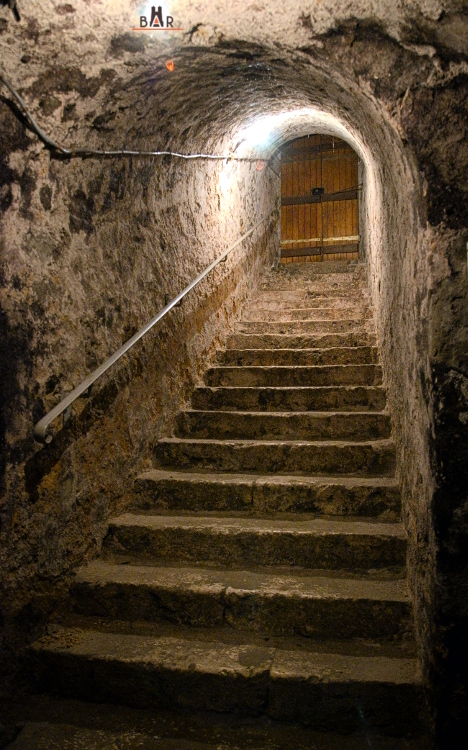 Indeed, some of the stone-dug vaults are up to 170 years old. As most clients are French or British, a presentation of the estate is also available in English. 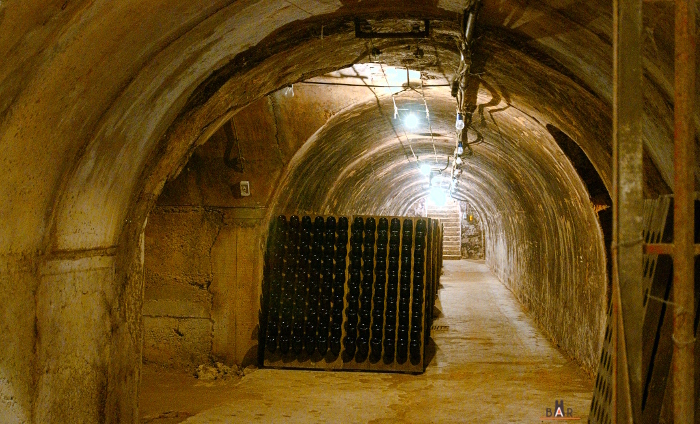 All these Champagne wines contain a small dose of expedition liqueur. Prices run for 2017. Sélection Brut : Blend of Chardonnay (50%), Meunier (45%) and 5% Pinot noir. 6g/l of expedition liqueur. This is a fruity Champagne, in which you can definitely get a taste of Pinot Meunier. It is grown for 2 years in wine cellars. Price is 15,15 euros on the estate. Noirs de réserve Brut : 6g/l . We cannot complement this Champagne enough. It is superbly balanced, with sharp fruity notes. Its Pinot noir and Pinot Meunier blend has won us over. Price is another convincing argument, as a bottle costs 16,40 euros on the estate. This wine is grown for 2 years in wine cellars. Rosé Brut : 6 g/l. We will be tasting this vintage very soon (17,50 euros on the estate). Ce contenu a été publié dans In English par bonnesadressesremoises.fr. Mettez-le en favori avec son permalien.